In this increasingly divided nation, how do brands navigate the weight of cultural expectations and manage a successful way forward? Read Whitney’s original article on LinkedIn Pulse here. There has been an undeniable theme of inclusivity and humanity in the ads coming to our screens lately, no doubt the result of an election season that has forced the country to take a long, hard look at itself like never before. For brands and marketers, the question of how to correctly move forward in a divided America is the big piece of the puzzle that has yet to be solved. It is no longer just celebrities and legislators that are using their voices to create political statements – marketers and brands are also facing an unprecedented amount of public scrutiny as consumers are increasingly wanting their spending power to be recognized as an extension of their own belief systems. Put simply, this means the brands they consume must be in line with their own personal value systems. Availability of access is the place in the journey to success where cultural and ethnic differences create the largest division between consumers. While the idea that brands can possess similar values to their consumer base is not entirely new, the intensity of consumer expectation is forcing marketers to make decisions around brand messaging strategies sooner than anticipated. Navigating the new consumer landscape can be tricky as marketers must balance what is expected of them from their consumer base as well as their own moral credence as a brand. In this situation, the wrong step forward could incite boycotts & protests but the lack of a position could also spark public outrage. So, in this increasingly divided nation, how do brands navigate the weight of cultural expectations and manage a successful way forward? Historically, insights regarding consumer consumption habits, preferences and shopping behaviors have been segmented by a variety of factors, with ethnic heritage being a primary variable of segmentation and difference. 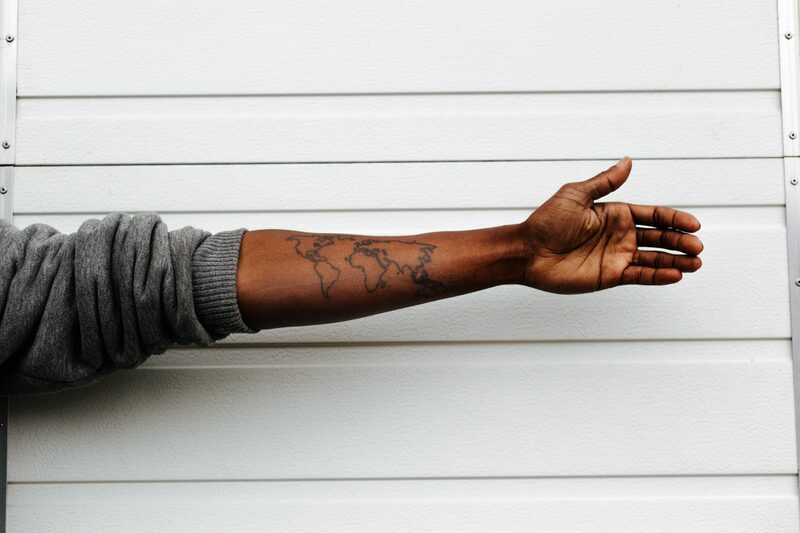 But, as race is becoming increasingly difficult to define and capture in today’s growing multi-cultural America, marketers have been tasked with finding new and better ways to connect with and to be cost effective when doing so. When reanalyzing the way consumers have been defined and segmented, it is very clear that race can no longer be a leading variable for difference and consumer understanding. The reason for this is simply because there is an even greater measurement that must be taken into account first – the importance of socioeconomic status and how it shapes consumer reality. What upward mobility looks like, how it feels, what it inspires, and how soon it takes shape is where the cultural differences lie and it’s within this space that marketers can create universal messaging with nuanced cultural appeal. For many Americans, seeing average families in average situations is more appealing than images reflecting less than attainable lifestyles. 2. Understand how access plays a key role in consumers’ lives. In his book, Hillbilly Elegy, J.D. Vance speaks about the power of social access, and more specifically, his own lack of knowledge on the importance of such a resource; a common mindset for many first time social strivers without a network to rely on. Availability of access is essentially the place in the journey to success where cultural and ethnic differences create the largest division between consumers. It is a well-documented fact that one’s own race and ethnicity directly impacts the kind of education they receive or have access to as well as the types of job opportunities that may come their way. 3. Accept that traditional frameworks of success no longer apply. There is a belief within the media world that consumers prefer to see versions of their aspirational selves in media as opposed to the reality of their actual situations. This may be true for some categories such as beauty and fashion, but overall, candid reality is a space that is growing, and will only continue to do so. For many Americans, seeing average families in average situations is more appealing than images reflecting less than attainable or relatable lifestyles. ABC President Channing Dungey recently echoed these sentiments, stating, “With our dramas, we have a lot of shows that feature very well-to-do, well-educated people, who are driving very nice cars and living in extremely nice places…But in recent history we haven’t paid enough attention to some of the true realities of what life is like for everyday Americans in our dramas.” Her desire to change this dynamic is evidenced in the network’s revitalization of the popular series Rosanne, which focuses on a more middle-class American reality. Marketers must determine how to appeal to consumer expectations by reflecting aspects of idealized worlds while paying homage to their true realities. 4. Get comfortable with the complexities of the marketing paradox. When determining the best way to represent the cultural reality of such a divided nation, the new challenge for marketers will be to fully understand the complexities of consumer ideologies and the paradoxes that lie within them. It is often the case that consumers’ own realities do not reflect their diverse aspirations, as their own personal worlds tend to be more culturally conservative and homogenous. Thus, marketers must determine how to appeal to consumer expectations by reflecting aspects of their idealized worlds through brand messaging while paying homage to their true realities. Managing to stay relevant by acknowledging diversity in a turbulent, politically-charged marketplace is both uncomfortable and necessary. The key to cracking the code is for marketers and brands to actively reexamine the outdated frameworks they’ve traditionally used to shape and measure consumer realities. Only then can they begin to create (and test) new strategies that resonate with their key audiences in memorable and meaningful ways, while also playing a part in the current cultural conversation.